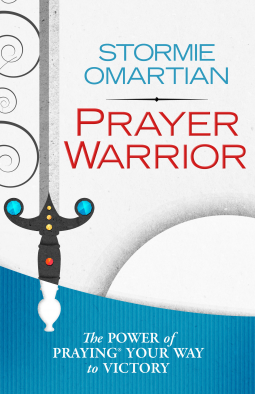 Stormie Omartian is such an incredible author that when I had the opportunity to review her latest book, Prayer Warrior, I didn’t hesitate. Stormie brings to the forefront the spiritual war that is going on and the way to do battle is to pray. To be a prayer warrior it must begin in the heart with compassion for others and a desire to do something to make a difference. This book will help you have authority in your prayers and also how to be what God is calling you to be. She teaches you to put on your spiritual armor and learn to use your weapons. By doing this, you will begin to view things from God’s perspective and pray how the Spirit leads. I love how Stormie utilizes additional scripture references throughout the chapters. To enforce what was covered in the chapter, she ended with a prayer that encapsulates what has been discussed. There is a wonderful reference in the last chapter. She has included 20 important areas of prayer. This is something that I can pick up at any time and help direct my prayers for various circumstances. I would highly recommend this book. I absolutely love Stormie’s book on prayer and this one is no different. I enjoy how it goes more in-depth than some prayer books and gives really valuable information to becoming a prayer warrior.